Cross-Listing should take place before course sites are published and before any grades are entered in Canvas. If a published course containing student submissions, activity, and/or grade data is Cross-Listed into a “Parent” course, that data could be lost. AFTER CROSS-LISTING Teachers and Students will only see the “Parent” course site on their Canvas Dashboard. Students who register for your course sections will automatically appear in the “Parent” course site. 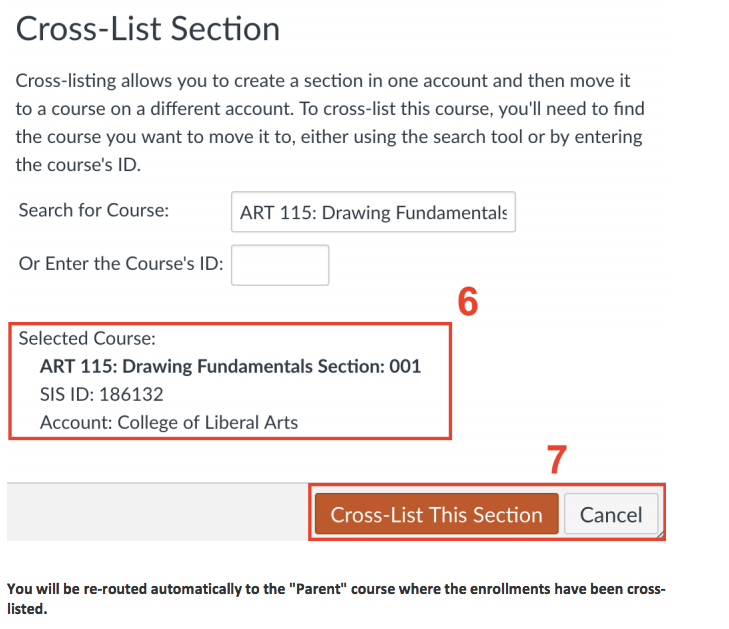 To “De-Cross-List” a course in Canvas please submit a ticket to Helpdesk@mercer.edu. 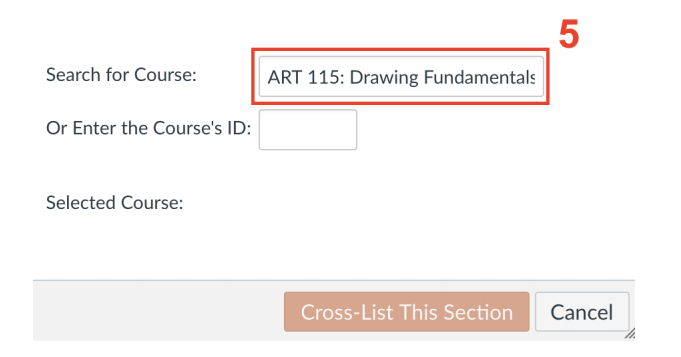 In this example we will Cross-List (merge) the following two-course sites in Canvas: ART 115: Drawing Fundamentals Section: 001 (PARENT) ART 115: Drawing Fundamentals Section: 002 (CHILD) Start in the CHILD course ART 115: Drawing Fundamentals Section: 002 (CHILD) that you want to Cross-List with the PARENT course. Step 1: Click on the Settings button located at the bottom of the course menu. Step 2: Click on the Sections tab at the top of the page. 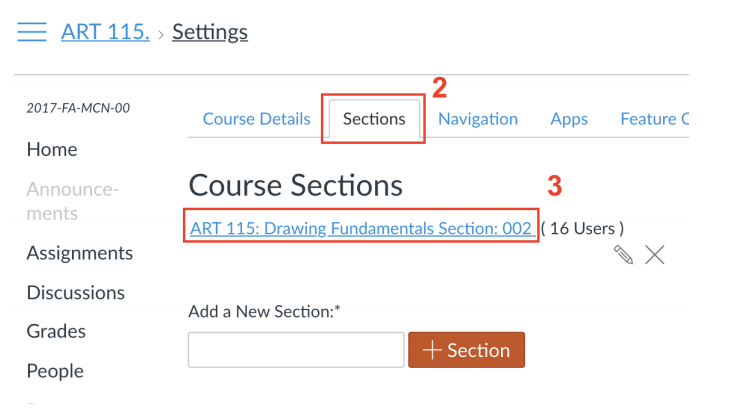 Step 3: Under Course Sections list, click on the course name displayed. STEP 4: Locate the Cross-List this Section button and click it (the button could be located at the top right or bottom of the page depending on your browser settings). STEP 5: On the pop-up window, enter the “Parent” Course ID (e.g. ART 115.001) into the Search for Course field. STEP 7: Click Cross-List This Section. You will be re-routed automatically to the “Parent” course where the enrollments have been cross-listed.